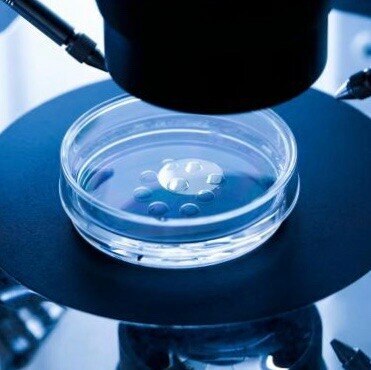 Home > Services > IVF (In Vitro Fertilization)In IVF the egg and sperms from the couple are allowed to fuse in a glass dish (In Vitro) and hence the word In Vitro Fertilization. The sperms are layered over the eggs retrieved from the woman and the process of fertilization occurs naturally under optimal conditions inside an incubator. IVF (In Vitro Fertilization) In IVF the egg and sperms from the couple are allowed to fuse in a glass dish (In Vitro) and hence the word In Vitro Fertilization. The sperms are layered over the eggs retrieved from the woman and the process of fertilization occurs naturally under optimal conditions inside an incubator.